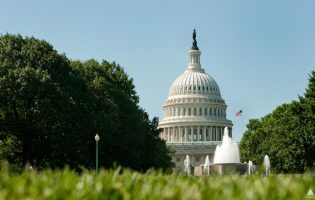 Traditional arguments that are commonly put forward to justify the implementation of import tariffs—high domestic unemployment, the protection of an infant industry, or external effects, for example on the environment—may all be classified as market failures and could, thus, justify government intervention. It is quite obvious that these “criteria” are not met by reality in the United States. Take, for example, the Section 232 tariffs on steel and aluminum, where it is unfathomable that national security concerns should be the reason to place tariffs on imports from mainly NATO partners. Indeed, between 2008 and 2017 there has been a nearly 20 percent decline in employment in the iron and steel mills and ferroalloy manufacturing sector. At the same time, however, the overall U.S. unemployment rate hit a forty-nine-year low of 3.7 percent in September 2018. 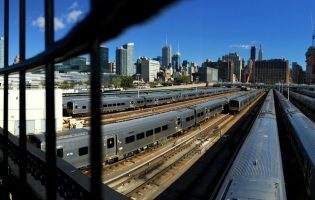 Thus, it is fair to assume that the workers laid off have found jobs elsewhere in the booming U.S. economy (2.3 percent annual GDP growth in 2017 and 4.2 percent in the second quarter of 2018. In fact, it is hard to fathom why a country with full employment that is close to overheating should resort to trade protection measures at all. Furthermore, the aluminum and steel sector is hardly in its infancy. Rather, it is an industry under stress due to structural changes such as the transition toward a more efficient use of materials; demand for lighter, more resilient types of steel; other long-term developments such as digitization; and, of course, enormous global overcapacities. It is worthwhile going back to textbook trade economics of the 1980s. It taught us that a country with market power, i.e., one that can influence its terms of trade (export over import prices), may find it profitable to implement import tariffs. The theory is straightforward: When such a country imposes a tariff that is not prohibitive, this increases the domestic price and world market demand and the world market price fall. All other things being equal, the terms of trade increase and the country can import more goods. While the domestic consumer surplus is lower due to the tariffs, this is offset by the tariff revenues. However, there is always a loss in welfare for the rest of the world. The multilateral trading system reins in large countries’ market power, which tends to be exerted at the expense of the rest of the world. So, do tariff revenues and the protection of an industry in transition explain the trade war? 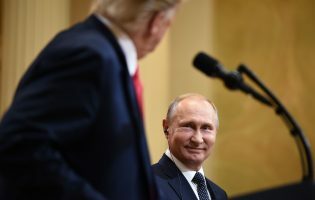 Actually, the answer may be rooted in psychology rather than in trade theory: in the current U.S. administration there appears to be an obsession with bilateral trade deficits. Put more bluntly: the general perception seems to be that deficits are for losers, and surpluses are produced by winners. And while the U.S. does have a trade deficit (goods and services) vis-à-vis the EU ($101 billion in 2017), it is China in particular ($336 billion) that has become the focus of the administration’s attention. Starting a trade war is just one way of claiming the position of economic super power and the right to define the new economic world order. In the meantime, the European Union—ever-hampered by the diverging interests of the member states, and Germany in particular, the champion of the social market economy—risk being crushed by the two forces. 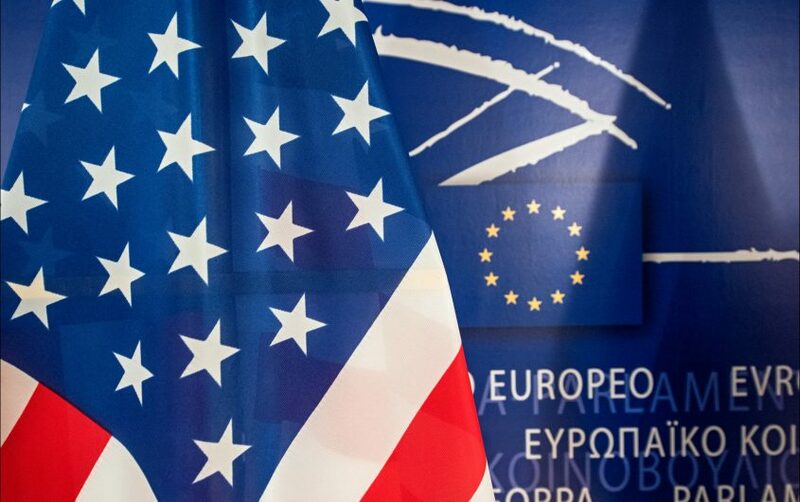 The willingness to compromise among the EU-27 and to speak with one voice in the negotiations with the U.S. is key. Partnering with the U.S. in facing state-funded competition from China is most likely the only way to create a level playing field. See, for example, Paul Krugman, Maurice Obstfeld, Marc Melitz , International Economics: Theory and Policy, 10th Edition (Pearson Series on Economics, 2017). See, for example, Christian Broda, Nuno Limão, David E. Weinstein. “Optimal Tariffs and Market Power: The Evidence,” American Economic Review 98, 5 (December 2008): 2032-65. 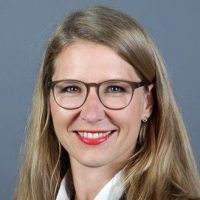 Henrike Lindemann is deputy head of the office of the Federal Minister for Economic Affairs and Energy Peter Altmaier (MP). In this capacity, Dr. Lindemann acts as advisor to the minister on political as well as operational matters. Prior to this, she worked as special advisor to Mr. Altmaier’s predecessor, the former Federal Minister Brigitte Zypries, and as deputy head of division within the ministry’s department for energy policy. She joined the ministry in 2012. She holds a PhD in economics from Ludwig-Maximilians-University in Munich. Thanks to her current role, Dr. Lindemann has gained an in-depth understanding of the political negotiations that shape the geoeconomic relations between Germany and its European partners as well as between the European Union and third countries. 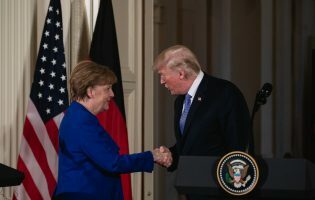 A prime example are the current tensions in the field of trade policy between the EU and the United States, which have had a considerable impact on her daily work. Dr. Lindemann has fostered a personal relationship with the United States ever since her stay in California as an exchange student in 1997/1998.